Tech’s Excel Program, per its website, “is a four year college program for students with intellectual and developmental disabilities leading to two separate Certificates.” The program began in 2015 with a group of eight students, growing each year towards an eventual goal of 48. In May, seven of those eight students will be finishing the program and receiving their certificates. Being in a certificate program, these students weren’t technically entitled to recognition at commencement. SGA passed a resolution requesting that an exception be made for Excel students, but President Peterson and Provost Bras were wary of using commencement to recognize programs other than full-fledged Tech undergraduate and graduate degrees. An online petition, sitting at 7,300 signatures at the time of writing, has brought this issue to the spotlight. In it, the president of Excel’s Student Advisory Board lays out the issue and requests student support, taking somewhat of a combative stance against the administration — and strangely Dean of Students John Stein, who does not have a say in the matter. As more details came to light the aggressive wording was removed; the administration wasn’t being intentionally callous, they were simply underprepared. It’s extremely possible that, before SGA’s resolution this spring, they hadn’t even considered that the first cohort of Excel students would finish in May. Still, at the end of the day this is a discretionary decision for President Peterson and the Provost to make. The Excel program strives to immerse its students in the college experience. They take classes for four years, they are involved in campus groups, they live in student housing and they are just as much a presence on Tech’s campus as the rest of us. 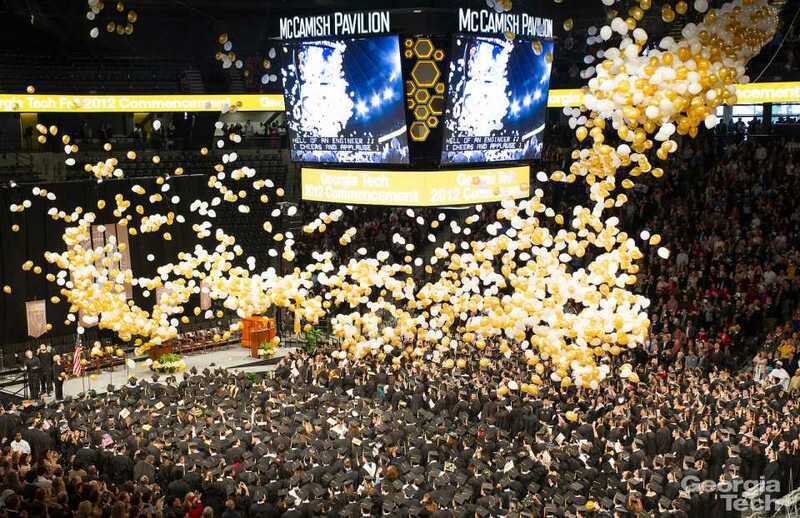 Though a few Excel students don’t feel strongly one way or the other, some feel that recognition at commencement would be an important conclusion to their four-year campaign at Tech. Commencement should be about recognizing and celebrating academic achievement at Tech. If it was based strictly on the completion of a traditional degree program, summer graduates wouldn’t qualify to walk in May. While it’s true that allowing Excel students to walk could theoretically lead to other certificate programs requesting the same recognition, the uniqueness of the Excel program and its integration into Tech’s culture make it worthy of an exception.